English media are revealing that Tottenham Hotspur initially intended to offload Adebayor and Bale to Manchester United instead of Real Madrid. The head chiefs of Tottenham Hotspur knew that David Moyes wanted to sign Gareth Bale so they made an offer that included the Welshman but also had the Togolese striker Adebayor in the offer. 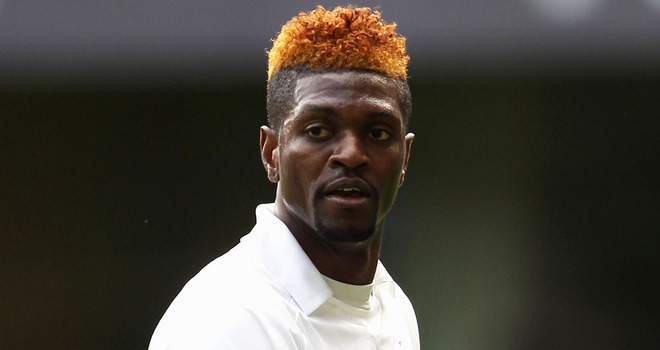 Tottenham have wanted to offload Adebayor for the last year as he signed a permanent deal with the Premier League club back in August of 2012 but he has been suffering from a downhill road of less than average performances and now the club is in need of a destination club for the former Arsenal player. Adebayor is currently the highest earner of Tottenham with an estimated amount of £140,000 earned each week which is just a huge amount for a player that cannot back it up with goals as he was initially intended to do when he signed the permanent deal. The Togolese forward was brought to Tottenham on a loan deal and in that period of time, he did nothing but shine as he grabbed 18 goals and provided 12 assists to his teammates during that loan spell but everything just went downhill from there on out. Manchester United’s David Moyes did show interest in signing Gareth Bale prior to him joining Real Madrid but he just couldn’t take the burden of adding Adebayor into a team that already has quality strikers and he would only be sitting on the sidelines, so the offer that Tottenham made was denied by Moyes. The team of Andre Villas-Boas is hoping they can bring in fresh legs in January with Javier Hernandez and Real Madrid’s Alvaro Morata being big targets for them although however their priority is in releasing Adebayor.